There are almost too many restaurants to choose from in St Kilda. It's a good problem to have, of course, but sometimes it leads to a delayed dining decision. I can save you some time now, and recommend Chinta Blues on Acland Street. 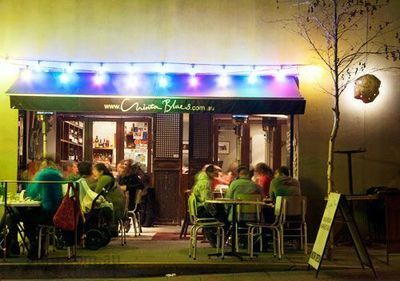 Chinta Blues is a Malaysian restaurant staple for so many inner city dwellers, that it is sometimes hard to get a table there. Add to that the fact that you can't actually book a table and it almost seems an insurmountable task. But walk by, try your luck and then try the duck! Malaysian is seen as second rate Asian food, but I have yet to find dishes of any cuisine that you can count on to be so consistently good. And Chinta Blues is no different. For starters, their starters are affordable (under $10) and delicious. There is literally no better roti bread with peanut sauce in Melbourne. The curry puffs are not too spicy but too yummy to put into words. Their mains are a blended variety of soups, noodle dishes, rice dishes and meat for all tastes (did I mention the duck?). For $30.00 and under, you can pretty much smell Malaysia in your bowl of amazing beef curry. Their fish dishes are healthy, sweet and incredible, with the highlight being the Rockling. The staff are super friendly and very knowledgeable, advising different kinds of dishes for different kinds of diners. You can bring your own wine with the standard corkage fee. Otherwise you can sample the drinks they choose that perfectly match the ingredients on the menu. If you are lucky enough you can choose to eat indoors or outdoors. Both have their good points, but they are both subject to quite poor acoustics if I'm to be brutally honest. If you get the tables closest to the footpath on Acland Street, you are largely free from these audible constraints. But that is if you're very lucky! So really, when after a reliable restaurant in St Kilda, the choice is pretty easy.